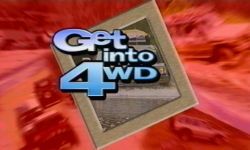 Get Into 4WD is a new video covering all aspects of four wheel driving with expert advice from one of Australia’s leading teachers in four wheel drive training Vic Widman. Get into 4WD will familiarise you with the unique aspects of your 4WD and how they impact on your on-road and off-road driving techniques. You will learn correct recovery techniques for those times when things get out of shape, and see some of the vast range of after market accessories and products available to customise your 4WD and make your travels more enjoyable. To order your copy of Get Into 4WD go to www.getinto4wd.com.au and follow the instructions.